DukeEngage Program Leader Martha Reeves Publishes “Women in Business: Theory and Cases” Second Edition. 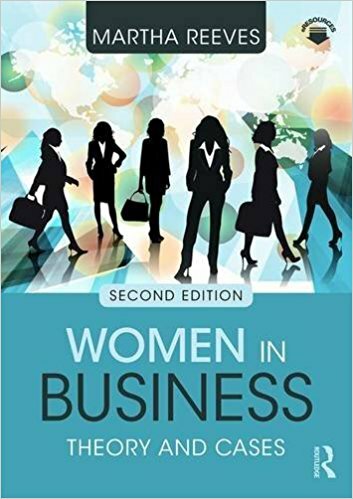 Cover of "Women in Business: Theory and Cases" Second Edition. Dr. Martha Reeves, leader of the DukeEngage in Guatemala program, originally published Women in Business: Theory and Cases in 2010 (Routledge). The second edition of the book, which explores policy and case studies surrounding female experiences of corporate life, was published earlier this year and is now available. The Guatemala program is led by Reeves in collaboration with the Social Entrepreneur Corps (SEC), and allows students to provide assistance in community and economic development, social enterprise and health and human services. Reeves is also the Associate Director of Duke’s Markets and Management Certificate Program.